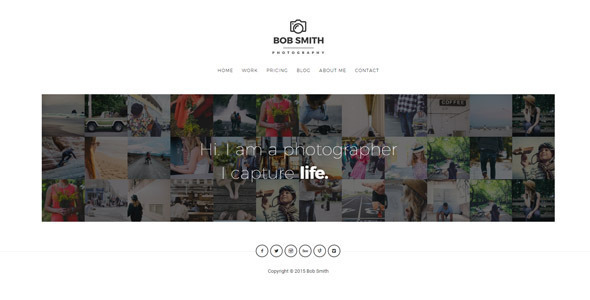 If you are looking for a WordPress theme for photographer, creative designer or design agency, here are some of the best Premium Photography WordPress Themes 2016 which allow you to build an attractive photography showcase or blog website with WordPress. 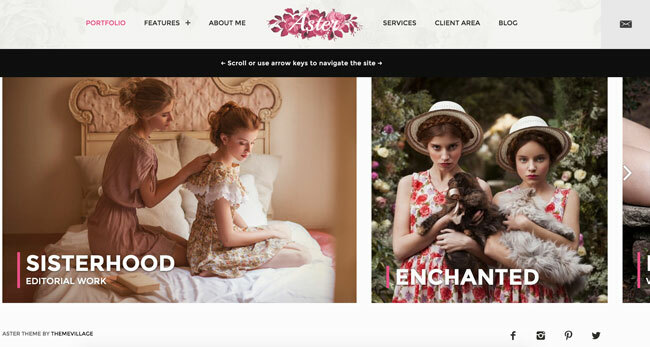 You are a Photographer or are looking to create a website for the Photographer and Digital Studio, then WordPress is a perfect solution for you. 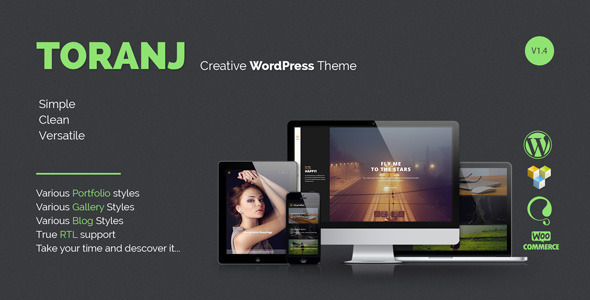 With the popularity and convenience of WordPress you will easily find a treasure WordPress themes are designed for any need and today we are talking to WordPress theme for Photographers or Digital Studios. 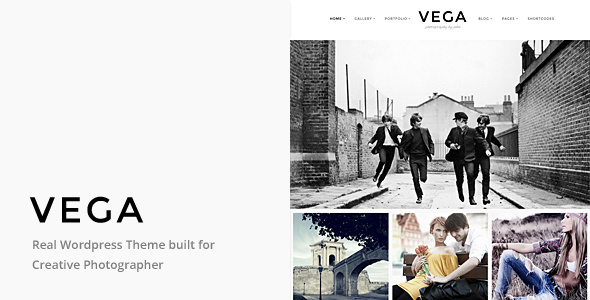 The WordPress theme focuses on the simplicity and showcasing of photos and art works in a very eye-catching and elegant manner, should highlights features comes with them includes Sliders, Gallery Album and Parallax Background is top priority. 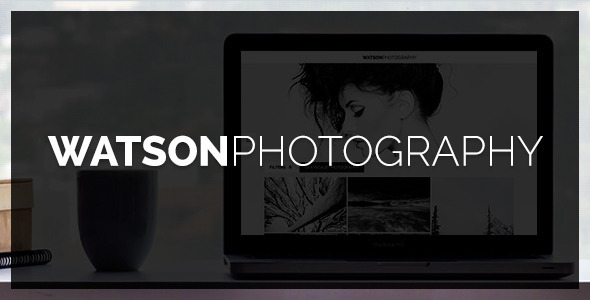 Photography WordPress Themes are perfect way that will enable you to build an excellent portfolio website on a low budget. 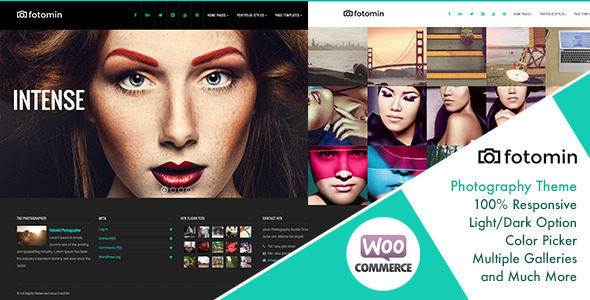 In here, we are only list the best responsive photography wordpress themes for you. 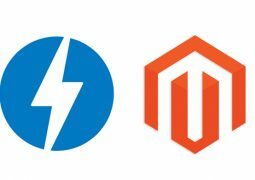 Before you choose a WordPress theme, please take your time to browse the list and get familiar with the themes and their features the have. 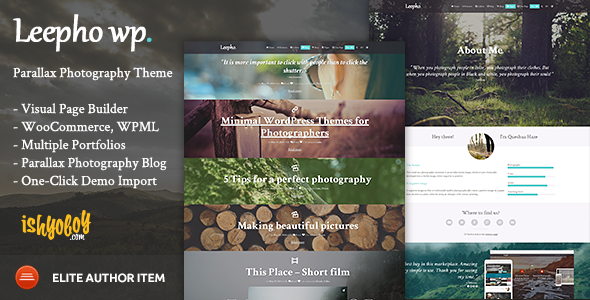 Keen is a creative photography WordPress theme built with HTML5, Css3 and latest Bootstrap Framework. 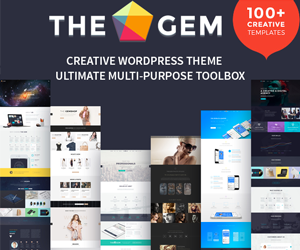 With minimal and creatives design this theme focuses on simplicity and showcasing your work in a very eye-catching and elegant manner. 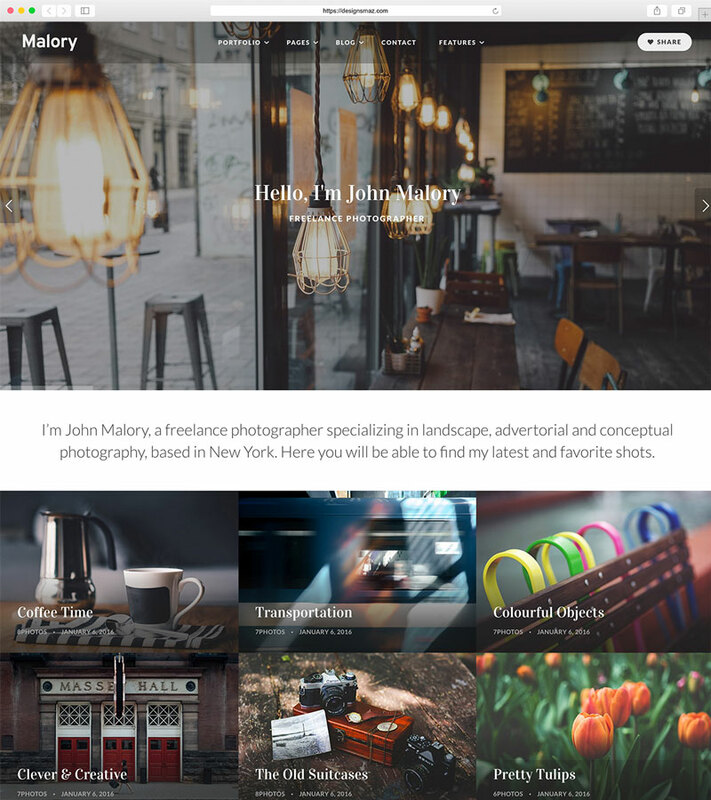 Keen comes with 3 Home Page Layouts with fully responsive design, optimized for mobile touch and swipe so you can create a Photographer portfolio to showcase your work on any type of devices and any screen sizes. 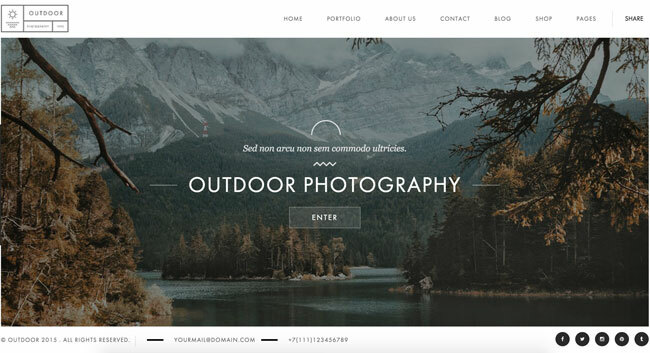 With a pixel-perfect design, an ability to scale and parallax effect, Keen Photography WordPress theme is perfect for your creative portfolio. 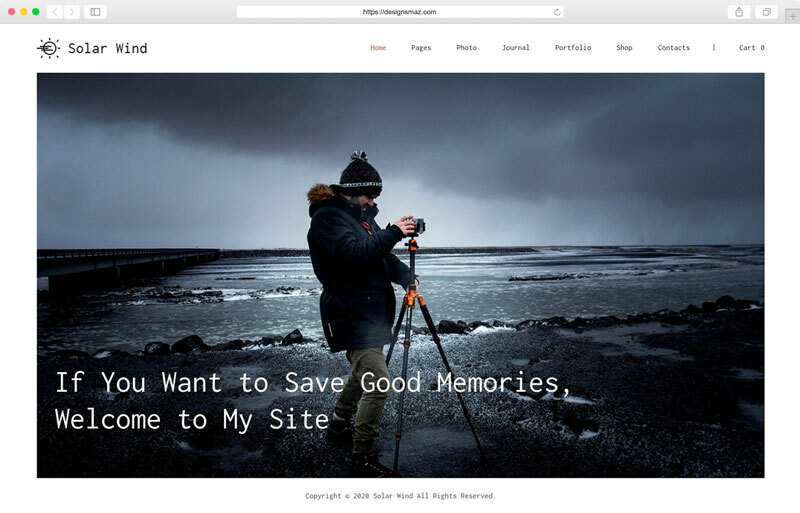 SolarWind is a html5 and css3, minimalism photography WordPress theme with clean and white style design, with this style will make your artwork presentation much eye-catching. With Ribbon slider and Solar Wind Slider integrated you can make a professional slide to show your artwork, it supports photos and videos for slide, just drop your images into the slider and satisfaction guaranteed. Gallery Albums is a powerful feature of SolarWind, with the Masonry and Grid Gallery offer a wide range of options for showcasing art works. The best one is masonry-style layout. You can handle a lot of content and still save the space. 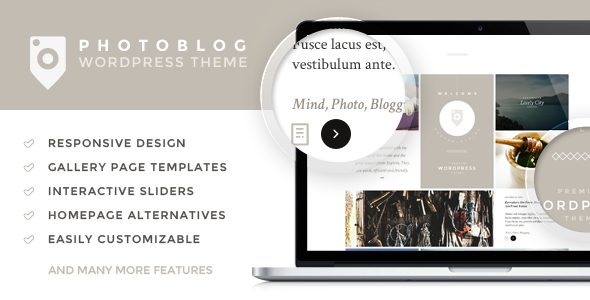 Full screen Blog is up to you which blog layout you choose. You have different options, either it is an awesome fullscreen layout or it is a standard one. The installation and customization so easy because SolarWind comes with Drag & Drop GT3 Page Builder Plugin, just one click the demo content and setting has been imported. The theme are loading much faster, it’s easy to pay attention to the details and giving professional impression to the visitors. 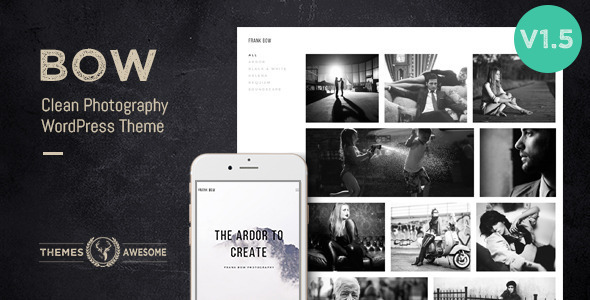 Malory is a HTML5/Css3, Bootstrap, Responsive Photography WordPress Theme with with flat design style suitable for photographers, digital studios, personal freelancers or artists that would like to showcase their portfolio beautifully and in a unique way. Malory comes with Visual Composer page builder Plugin, a popular plugin to customize and extend extend without coding. 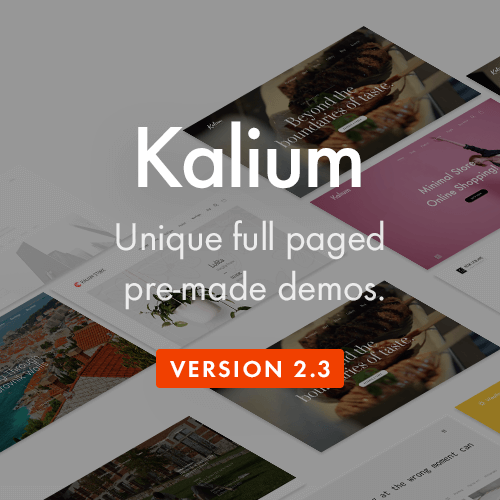 This theme includes hand designed and coded another load of elements for the page builder so you will be easy to customize design it as you like. With the Parallax Background Image, Custom Logos and Unlimited Colour Schemes you will easy customization of style fits with the brand. 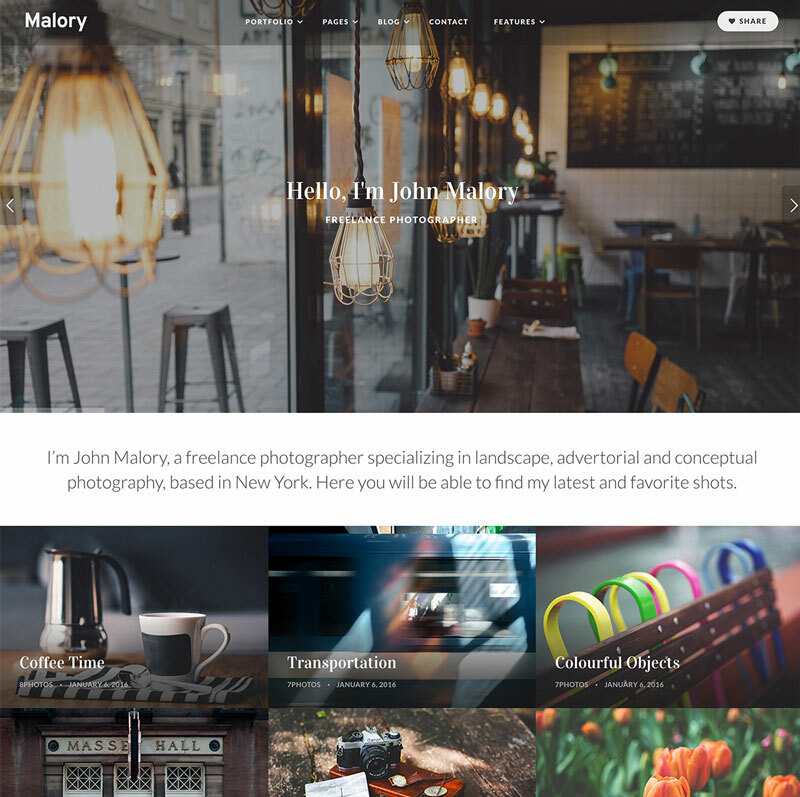 Malory is fully responsive design and Retina-ready. 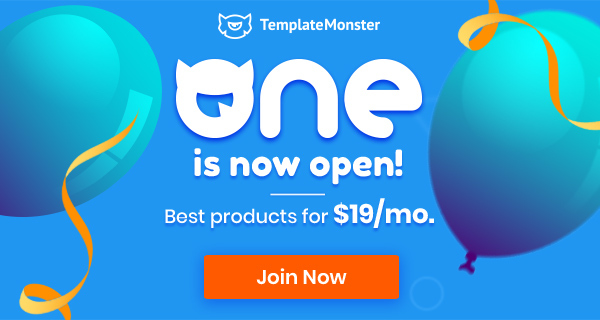 So the layout will adapt to different screen sizes which will make your website be compatible with any device such as smart phones, tablets or desktop computers. 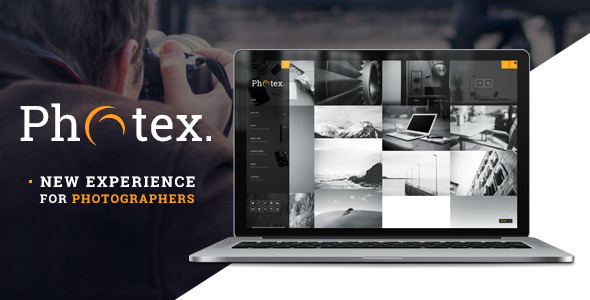 Thirteen is a beautiful and minimalistic AJAX WordPress Theme for photographers, designers and for all the creative people who love clean design. 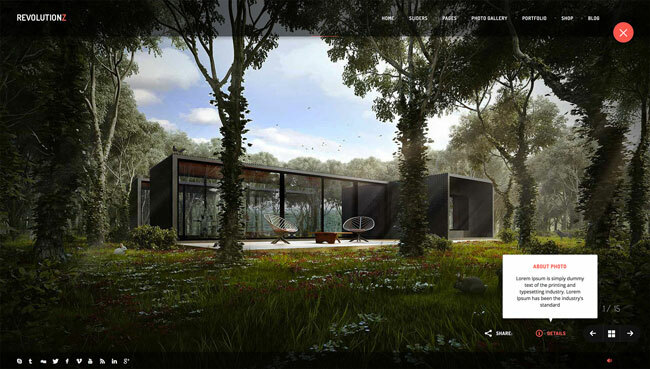 Create stunning galleries and sliders with just a few clicks using our predefined settings and effects. 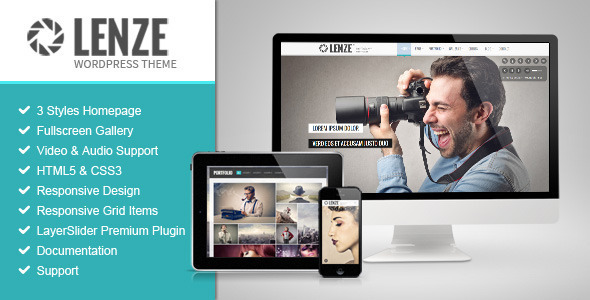 RevolutionZ Theme was created especially for professional photographers, designers, video designers and studios. It has everything you need for a professional presentation of your work. 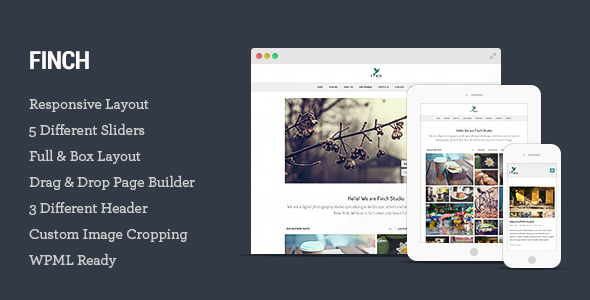 Aster is a responsive Photography wordpress theme. We believe in simplicity and usability for both you and your users. We believe that “100+ shortcodes” and “unlimited layouts” for a single photographer portfolio site is a bad idea. Whether you’re a seasoned Photographer or just starting out – we want to help you find the right direction with your site. 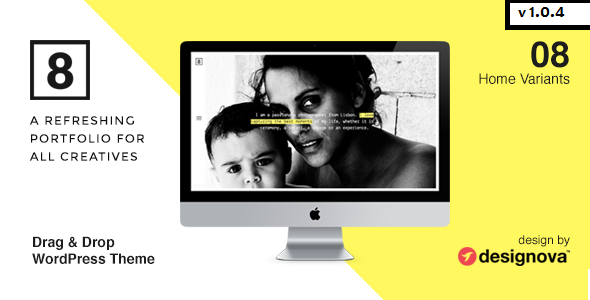 Photoblog is a premium WordPress theme designed for your special purpose such as a personal blog, personal gallery for all you photos, and business portfolio. 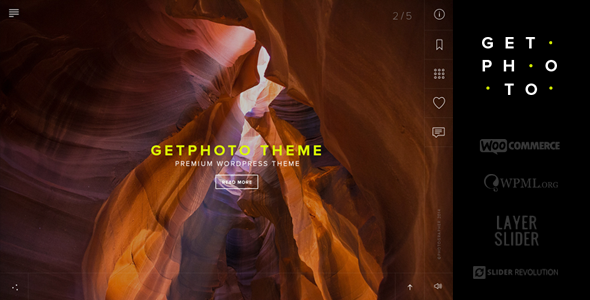 GetPhoto is a continuation of a series of themes for photographers. 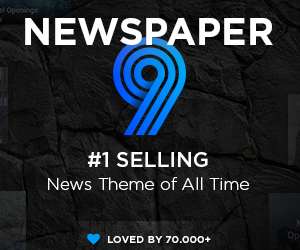 The theme excellent for artists, designers, sellers photo content, and more. 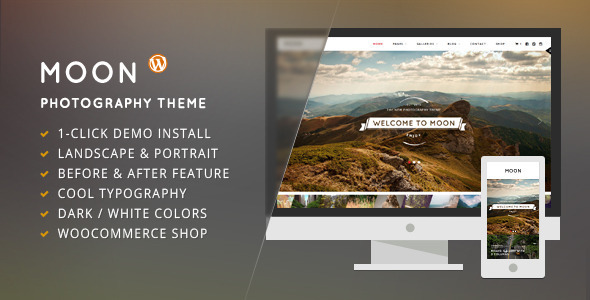 Moon is a responsive creative and photography WordPress theme. 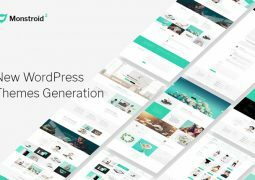 Featuring multiple gallery styles that can be added as standard WordPress galleries, it is as simple to use as it gets. 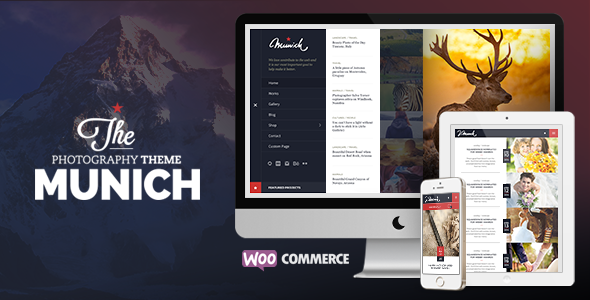 Finch is a responsive photography and magazine WordPress Theme with various portfolio & blog options which is suitable for artists, photographers, digital studios, personal freelancers, and any kind of business owners that would like to showcase their portfolio beautifully. 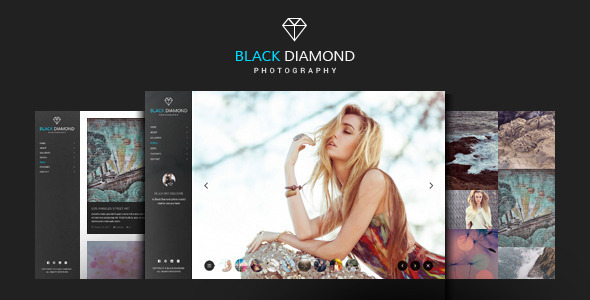 Black Diamond WordPress Theme. We reviewed all the feedbacks from our customers and tried to implement the most wanted and must to have features and functionalities. 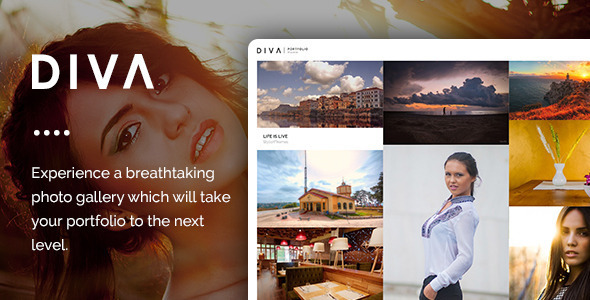 DIVA is a fabulous wordpress portfolio theme for photography and people involved in this domain. 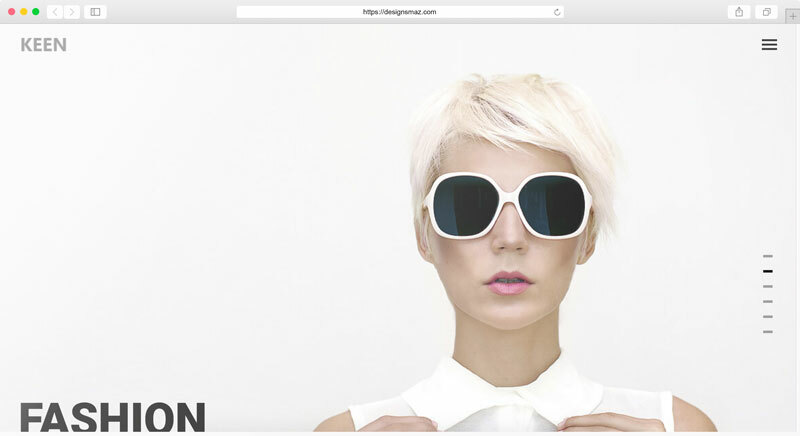 FotoMin is 100% responsive (Bootstrap). 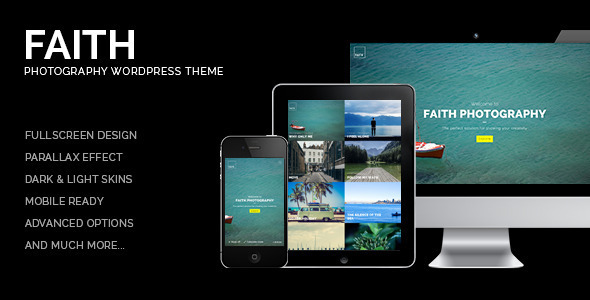 It is has multiple home page templates and multiple gallery templates to showcase beautiful photography portfolio. It’s clean modern minimalist look is perfect for even the best photographer. 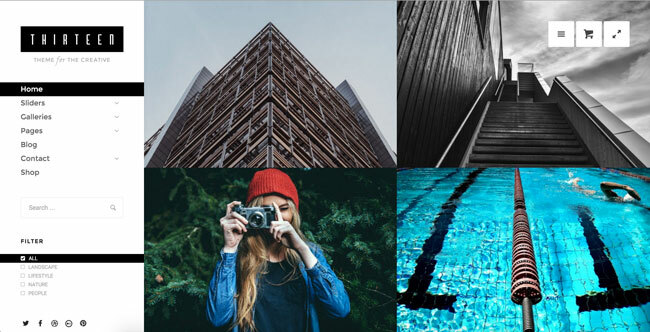 Leepho is a photography parallax theme dedicated to all people who would like to show off their photography portfolios. 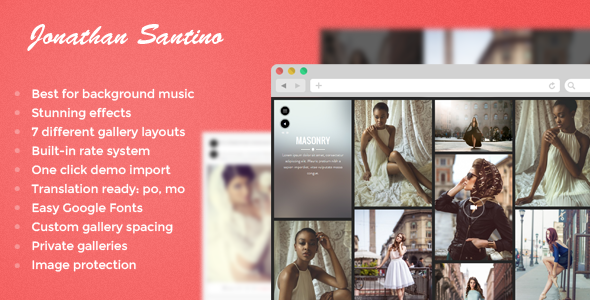 Phototastic is the best WordPress theme you need to create a Photography-based website. 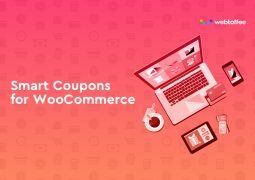 You can use Phototastic to display your beautiful portfolio or use it on your business website (with WooCommerce support). 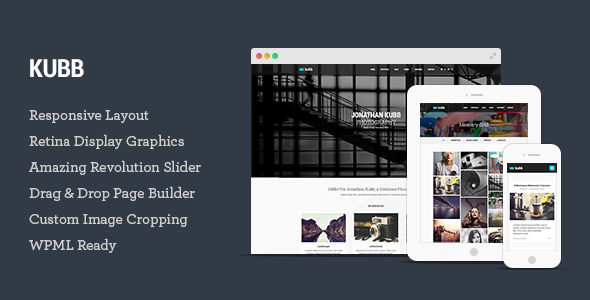 Kubb is a flat and responsive WordPress Theme with a clean and professional design which will be a great solution for your business, portfolio, blog or any other purpose website. 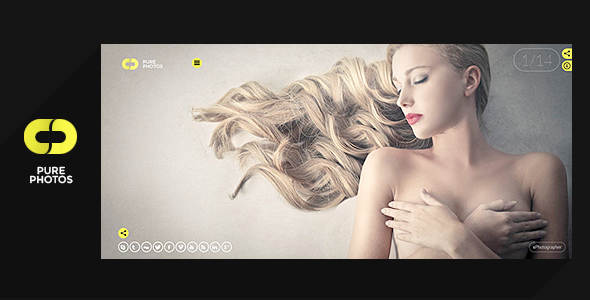 Pure Photo was created especially for professional photographers, designers, video designers and studios. 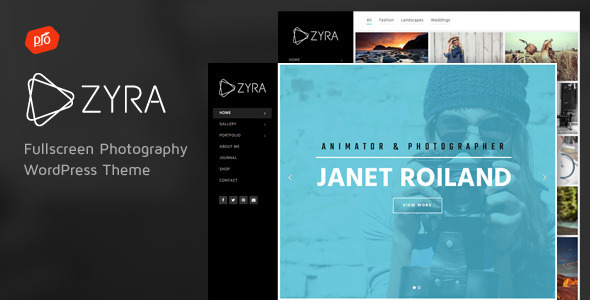 Every professional photographer wants to present his portfolio in the best possible way. 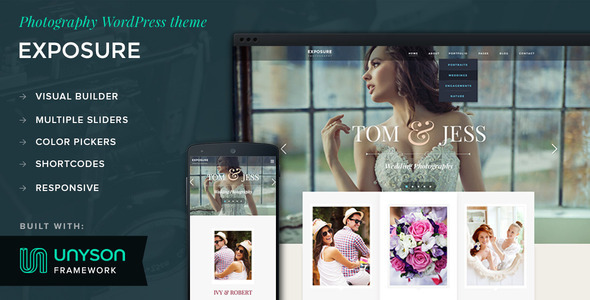 That’s why we are presenting you this responsive premium WordPress theme that will have all required features one photographer needs. 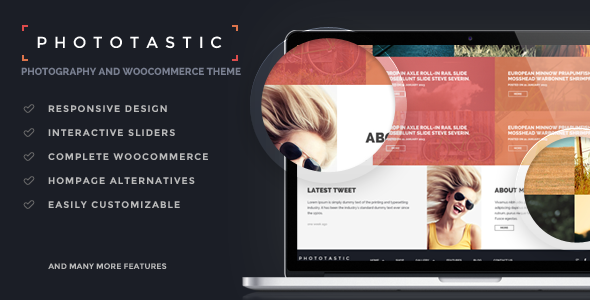 Aside from that this theme is fully compatible with WooCommerce shop.